I lived in Melbourne, Australia for 5 months in 2009. When I was in Australia, I was known as the Extreme American Tourist. Given my limited vacation, I often tried to sneak in weekend trips. 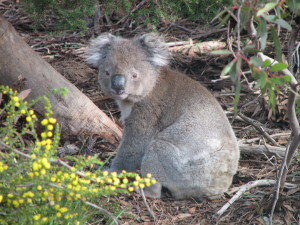 One of my weekend trips was to Kangaroo Island. If you want to see wildlife and especially if you want to see Koalas, this is the best place to go. 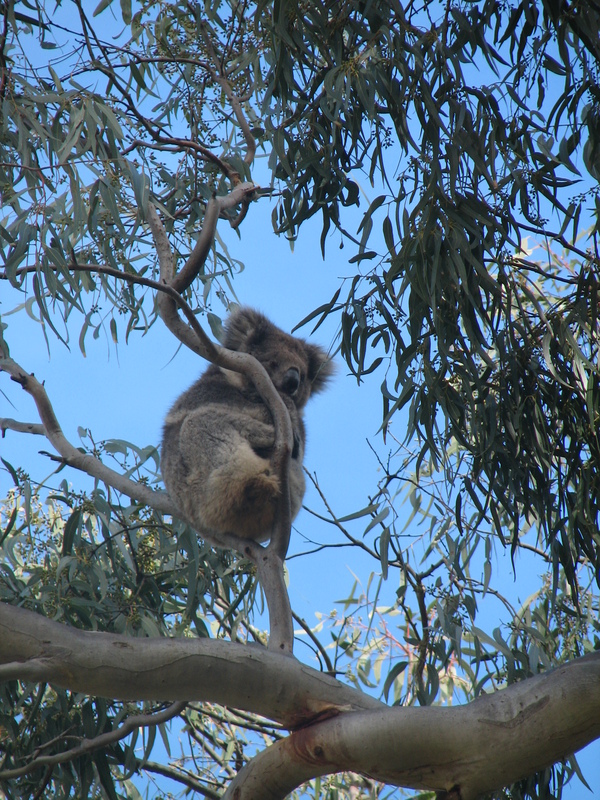 It is extremely challenging to see Koalas on the mainland. 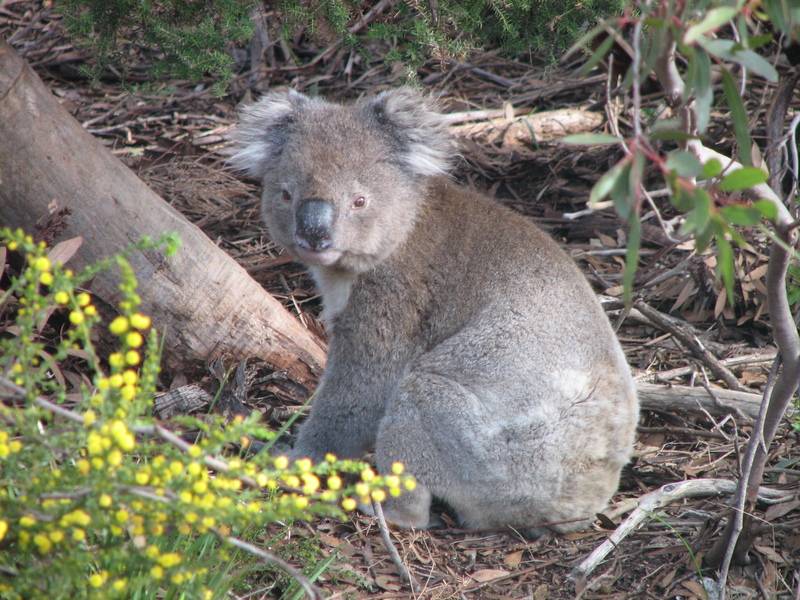 Some people will see Koalas on the Great Ocean Road, but you won’t to see the quantity of them as you do on Kangaroo Island. I saw over 10 Koalas on my trip to the island plus lots of other animals including Kangaroos. Should I go to Kangaroo Island? In my opinion, Kangaroo Island is a must if you want to see wildlife, visiting Adelaide, or have a lot of time in Australia. While I would visit Uluru or the Great Barrier Reef before Kangaroo Island, it is a must see in my opinion. Kangaroo Island is located near Adelaide in South Australia. It is about a 45 minute ferry ride from the coast and spans 145 km. The ferry leaves from Cape Jervis and arrives in Penneshaw. Transportation from Adelaide and via ferry is via Sealink. If you want to see it all in a weekend, you will need to leave as early as possible on Saturday and as late as possible on Sunday. While there are two options in the Summer, there is really one option in the other seasons. In the Summer, there is a ferry that leaves at 7:00 am, but in the Spring/Winter/Fall the earliest ferry leaves at 9:00 a.m. When planning what to do, I had two options to get an early ferry. 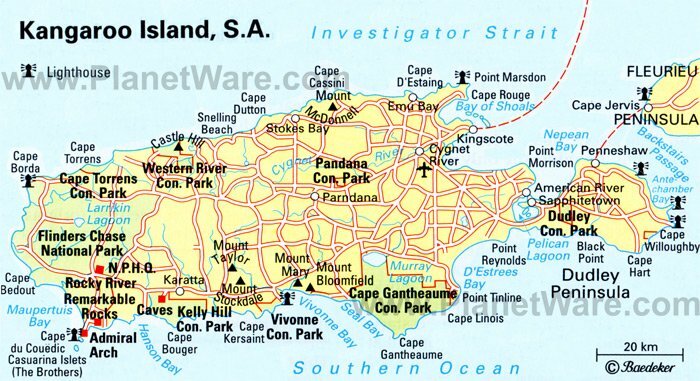 I could have rented a car in Adelaide on Friday night driven to Cape Jervis and spent Friday night in this town. You would then need to pay the fee to transport the car to Kangaroo Island. You could catch 7:00 am ferry and be in Kangaroo Island at 7:45. It will cost you an extra $92 each way to bring a car from Adelaide to Kangaroo Island. The alternative option is through Sealink take a bus ($25 each way) to Cape Jervis first thing in the morning. The bus leaves at 6:45 and arrives in Cape Jervis at 8:30. You can then get on 9:00 am ferry, which arrives at 9:45. You do lose two hours, but you can still see it all. I picked up my rental car as soon as I arrived in Kangaroo Island. I rented from Budget, and they picked me up at the ferry station. I chose the second option. If you had 4 people, it might be worth renting the car and spending night in Cape Jervis. You would need to spend $184 extra for car, but each person would be spending $50 for bus to/from Adelaide. When you include gas, you probably more or less breakeven, but you would get an extra 2 hours in Kangaroo Island. 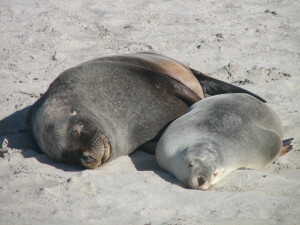 How to get back from Kangaroo Island? This is a lot easier. The last ferry leaves at 7:30 and arrives at Cape Jervis at 8:15. The bus leave at 8:30 and gets you back to Adelaide at 10:30. You will not be able to fly back that night. However, there are early morning flights from Adelaide back to Melbourne and Sydney. This is what I did. As a result, it was the perfect weekend trip. 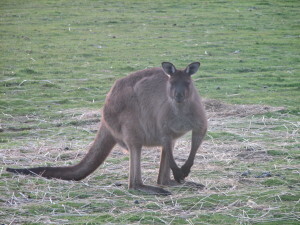 How to get around Kangaroo Island? You can do a tour if you don’t want to drive, but I think the best option is renting a car and seeing the Island for yourself. I rented from Budget. While I am fan of driving at night to maximize what I can see, you can NOT do that at Kangaroo Island. Since Kangaroos/Koalas are nocturnal, you are entering a death trip if you attempt to drive after night. The insurance company will hold you completely responsible for any damage regardless of whether you have purchased insurance. The same stipulation occurs if you rent a car from Adelaide. 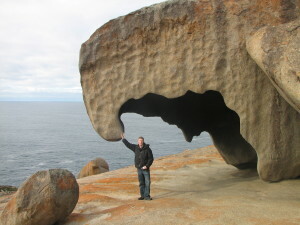 What are the must sees in Kangaroo Island? Most of the action at Kangaroo Island is along the South Coast and on the West Coast, this is where I decided to spend most of my time. While I did travel to the Northwest corner of the Island, I did not see the North Shore or much in the middle of the Island. There are tour companies that do a 1 day in the park, but I feel like you miss a good part of the Island. Since these companies for most part all arrive at 9:45 am and leave at 7:30 p.m., this gives you 10 hours on the island. However, these companies all want to travel to Flinders Chase to see Remarkable Rocks, which is 2.5 hour ride each way, plus an hour lunch really only gives 4 hours max at the island. While I like to see as much as possible in short amount of time, I don’t think you can give justice to this Island by only doing it in 1 day. I think 2 days and 1 night is the best. On the first day, I did all of the south coast and stayed out by Flinders Chase National Park. On the second day, I went to Flinders Chase and drove to Northwest Corner of Island before driving back to Penneshaw. Duck Lagoon (Up by Kingscote) – one of my main goals was to see Koalas, and I read this is one of the better places outside of Hanson Bay to see them. I ended up seeing 2 or 3 Koalas at the Lagoon. You could skip if want to spend more time at other locations or want to see one of the other sites. You can easily spend half a day checking out Flinders, Remarkable Rocks, and Admiral Arch. In my two days, I did not have time for Penguin Tours (Kingscote), Pelican Feeding (Kingscote) or Caves on the Island. If I had longer on the Island, I would have probably tried to see these locations. If any of the locations that I mentioned could be skipped, it would have been Duck Lagoon. I did see Koalas at the lagoon so I can’t complain. In short, Kangaroo Island is a must see. Remarkable Rocks are in top left. Sea lions are from Sea Colony Bay; 1st Koala is a little guy that I just saw randomly along the road; second Koala is the one that I saw at Duck Lagoon.